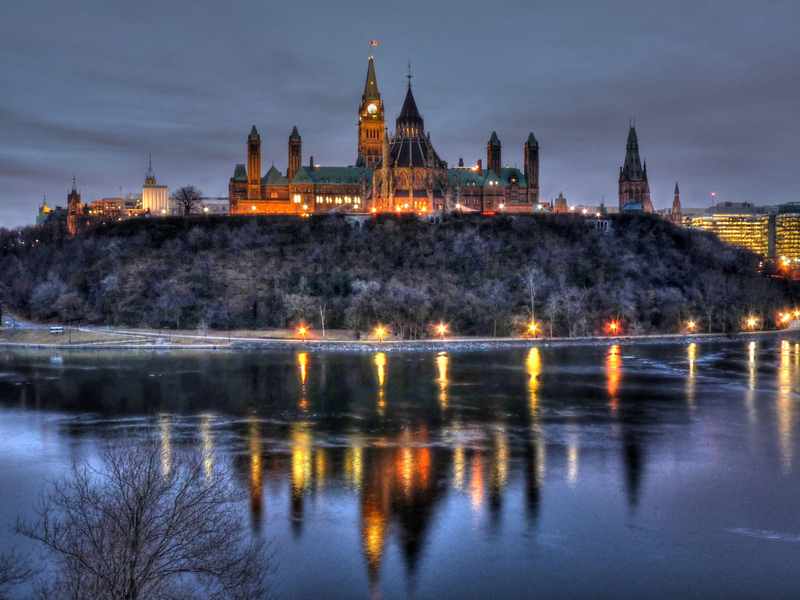 On 19 March 2019, the government of Canada unveiled its new budget. With new promises on housing, pharma care and the environment, there is a lot to parse. This article examines what it means Canada’s North and the Arctic region. This budget is more than anything else a campaign platform for the governing Liberal party. Canadians head back to the polls in October 2019, with Justin Trudeau’s Liberals seeking a second term in power, Andrew Scheer’s Conservatives looking for a return to government and Jagmeet Singh’s NDP hoping to gain (or at least maintain) seats. The Liberals made the middle class the theme of the 2015 election, which this budget’s principal theme references (“Investing in the Middle Class”). The Liberals also promised that 2019 would see a balanced budget, which they did not fulfill, a fact the Conservatives will no doubt make much of come campaign season. The Liberals enter the 2019 election with wounded credibility on Indigenous rights. The Liberals made reconciliation with Indigenous peoples a theme of their tenure. Their record on this front has in many ways been mixed. One might praise government apologies and court settlements. Others might say the government is moving too slowly. Trudeau’s first cabinet had two Indigenous ministers; the current cabinet has zero, as one Indigenous minister resigned amid a personal scandal and the other, Jody Wilson-Raybould, resigned amid a national scandal. Trudeau needs this budget to flip the script. Trudeau is facing a significant scandal over the resignation of Jody Wilson-Raybould from cabinet, who is a member of the We Wai Kai First Nation. The short version is that Wilson-Raybould says government officials inappropriately pressured her, as Minister of Justice and Attorney General, to intervene in the prosecution of a Canadian engineering firm accused of bribing foreign officials; the government contends that all conversations were within the bounds of appropriate condduct. Whatever the truth, the situation is decidedly off-brand for the Liberals and the exact fodder opponents need to cast Trudeau as dishonest and untrustworthy. A commitment to build an addictions treatment centre in Nunavut. Overall, the focus is on local communities. The budget promises more than $572.9 million on projects (over the next ten years) that directly benefit local communities, with more than $53.7 million earmarked for Arctic science projects that could have local benefit, but are more national in orientation. The projects are generally well-defined and specific. Budgets such as these often beg more questions than answers. For example, the budget promises $400 million in additional funds to “build new roads and other vital connections to and between Arctic and northern communities.” It does not specify a full list of projects toward this initiative, as such efforts will require research and consultation. The promise represents the beginning of a long process. A focus is collaboration with local communities. The budget supports Canada’s Inuit advocacy organisation and mentions the necessity of collaborating with northerners at least five times. It notes that new projects, such as the addiction treatment facility in Nunavut, will be developed with local authorities. Lack of consultation has been something this government has been criticised for in the past. One area potentially under-emphasised is food. The budget notes, “In the 2018 Fall Economic Statement the Government announced new investments in the Nutrition North Canada program,” the system of grocery subsidies for Canada’s North. It also announces Northern Isolated Community Initiatives Fund for local and Indigenous food production. Food prices in Canada’s North remain high; additional funding for Nutrition North seemed possible in this budget. The 2019 budget includes a set of fairly targeted and specific project proposals for Canada’s Northern region. It is not about winning votes in the North; Canada’s territorial seats represent only three out of 338 seats in Canada’s parliament. It is unclear whether the promises will follow through. The Liberals need to win re-election, which is not a foregone outcome. This one area of the budget will not flip the script entirely, repair the relationship with Indigenous peoples or comprehensive solve all of the issues in Canada’s North. The opposition continues to push on SNC Lavalin and the affair continues to dominate headlines. But, if implemented, the budget will enhance sustainable development in Canada’s Arctic for decades to come. Dr Andrew Chater is a Canada Fellow at Polar Research and Policy Initiative and the 2019 Fulbright Visiting Research Chair in Arctic Studies at the University of Washington in Seattle. He also is an assistant professor (limited term) in political science at Brescia University College in London, Ontario. Recent publications have appeared in such journals as The Canadian Journal of Communication and The Northern Review. He completed his doctorate at the University of Western Ontario and was previously a graduate resident at the Rotman Institute of Philosophy. His dissertation, Explaining the Evolution of the Arctic Council, examines reasons for contemporary changes in the role of the Arctic Council. In 2013, he was part of the Arctic Athabaskan Council’s delegation at Arctic Council meetings in Whitehorse, Yukon. He holds a Master’s degree from the University of Waterloo. His research interests include Arctic governance, geopolitics and security, as well as Canadian foreign policy. Outside of academic life, Andrew plays music and has taught guitar in Iqaluit, Nunavut, as part of Iqaluit Music Camp.